The country of Georgia, a former Soviet republic, continues to struggle economically as an emerging democracy. Many children and families cannot access adequate medical care or proper education and suffer or die needlessly. Established in 1992 as the first U.S. NGO in Georgia, ACTS International has an in-country affiliate with staff and volunteers who are experienced in ensuring that donated humanitarian aid is processed accurately and effectively and delivered where it will benefit the neediest populations. ACTS is uniquely positioned to foster “partnerships for peace” that result in healthier children growing up better prepared to succeed and to help their country move forward. We provide numerous programs and assistance to poverty-stricken families and internally displaced (IDP) families, including children suffering from post-traumatic stress disorder. A Call To Serve International ships much needed equipment, supplies, and provisions overseas to the country of Georgia. Our programs focus mostly on children, particularly those with special needs. Over the past two decades, ACTS’ diabetic children’s camp has educated 1,100 youngsters on how to manage and live with their disease. Faced with an average life expectancy of 10 years not too long ago, our camp alumni are now thriving teenagers and young adults with long, healthy lives and families of their own ahead of them. Another important initiative is to reduce Georgia’s stillborn and neonatal death rates, which are the highest in Europe, by improving health-care access for pregnant women and their children. We also conduct community healthy lifestyle festivals and help children learn English by giving language books to classrooms in need, with the hope of opening doors for their future and their nation. Your donation will help us quickly bring much needed medical equipment and supplies, educational materials and other essential provisions to children and families in Georgia. All content courtesy of A Call To Serve International. Many people in countries like Ukraine and Moldova live in an area torn apart by war and face an uncertain future. Bible Mission International strives to meet the physical, emotional and spiritual needs of these countries’ citizens who are forgotten and struggling. Bible Mission International works with trusted local partners to ensure the distribution of supplies that nourish, clothe, and help care for people who don’t have access to these necessities. One shipment to our partners in Moldova provided 1,000 impoverished families with blankets and linens, household items, seasonal clothing for adults and children, and wheelchairs for the disabled and elderly. 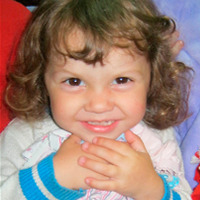 Your donation will help us quickly get supplies to orphans, the elderly and families in Ukraine and Moldova. All content courtesy of Bible Mission International. Countries of the former Soviet Union are struggling through an economic shift, leaving many of their citizens with a wide disparity of living conditions. We strive to meet people’s immediate needs and help them plan for a better future. We send clothing, shoes, personal care items, and household supplies to the neediest people as well as equipment and supplies to support industries to grow and provide food, clothing, and other necessities. CIS Development Foundation helps the neediest people survive and grow. 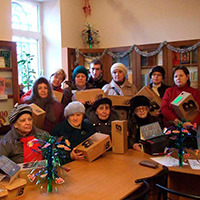 Our network of affiliates and representatives in cities across the former Soviet Union ensure that every donated item goes to its assigned destination. Your donation will help us quickly get clothes, shoes, personal care products, and household items to fulfill the basic, immediate needs of people and to help build a better future. All content courtesy of CIS Development Foundation. Items such as food, clothing, and medical supplies are in short supply throughout many impoverished nations. These shortages can cause instability within the affected country - problems that can have worldwide implications. Wherever there are people in need, we want to help. Christ for Humanity sends medical supplies and medicine for the sick, food to nourish the hungry, and clothing for people without basic amenities. We work with local, trustworthy partners to deliver relief to all levels of society, particularly children, the handicapped, the elderly and destitute individuals and families. 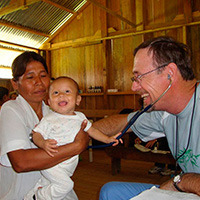 Your donation will help us quickly get medicine, food, and clothing to people in many impoverished nations. All content courtesy of Christ for Humanity. Around the world, the stresses of war, economic turmoil, and natural disasters have left many people without access to even basic necessities. We want to bring these people relief and hope by connecting the generosity of donors with our networks in other countries. Churches of Christ works with local partners in countries to deliver bedding, clothes, footwear, household and school supplies, medical equipment and supplies, and hygiene items. Orphaned children who lived on the street in soiled clothes now have a clean shirt and warm shoes. School children have desks for their classroom. In 2014, we shipped supplies filling 44 containers with a total value of more than 5.8 million dollars to countries in need. Your donation will help us quickly get clothes, shoes, bedding and medical supplies to the people who need it most around the world. All content courtesy of Churches of Christ. There is a surplus of resources in the United States that could help people living without even basic necessities like food and clothing. All that’s missing is a way to get those supplies to the people who need them. That’s where we come in and why we’re part of the PartnerSHIP for Impact network – to bridge the gap between donors and people in need around the world. El Shadai Mission Donor Program works with local governments around the world to identify communities and groups that need assistance, collects the necessary supplies from donors in the United States, arranges transport to the designated country, and collaborates with in-country partners to distribute supplies directly to the people who need it. Shipping the donated items overseas is expensive and often times filled containers of supplies don’t get moved because we don’t have the funds to ship. Unfortunately, this means people living without medicine or food or other life-saving supplies are still waiting. Your donation will help us ship supplies to the people who need it most. All content courtesy of El Shadai Mission Donor Program. 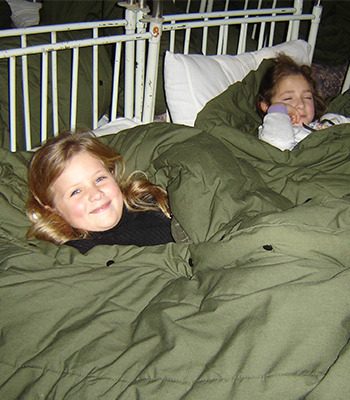 In 1997, our founder traveled to Ukraine to see the needs of the country’s orphanages firsthand. Ever since, Freedom Ranch has been collecting and shipping donated supplies to help these facilities nourish, clothe and care for orphans. 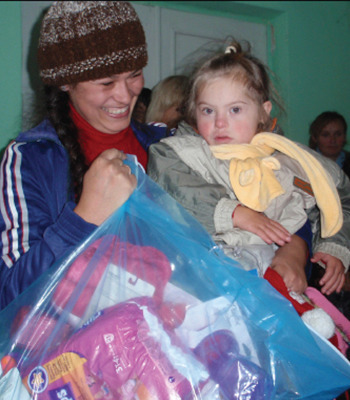 Clothing and medical supplies are a never-ending need for orphanages in Ukraine. We provide much needed assistance by shipping clothes, shoes, medical supplies and equipment, and food. With the help of donors in the United States and volunteer teenagers in our programs at Freedom Ranch, we collect and pack the supplies. Our partner organizations in Ukraine receive and guide the shipments through customs before distributing items directly to the orphanages. 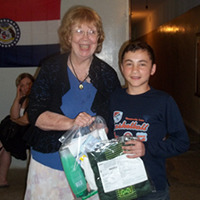 Your donation will help us quickly get our donated supplies of medicine, food, clothes, and relief to Ukrainian orphans. All content courtesy of Freedom Ranch. 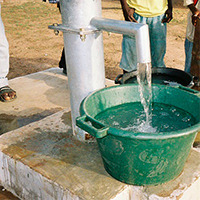 All around the globe, hunger and malnutrition claim lives and inadequate access to clean water spreads disease. Global Aid Network seeks to stem this tide of suffering by getting provisions and to people to help them stay nourished and healthy, even in challenging circumstances. Donations of supplies from caring individuals, companies and partners make these life-saving supplies available for delivery. We work with partners in countries around the world to deliver and distribute the food and supplies to communities that need it most. Your donation will help us quickly get food, clothing, water filters and other supplies to the people who need it most. All content courtesy of Global Aid Network. Our organization began in 1997 as an outreach program to three orphanages in the area of Bila Tserkva in Ukraine, and since then we have grown to include programs that help widows, people who are disabled or ill, and caregivers. Orphans and the disabled often lack the treatment and care they need to live healthy lives. We collect wheelchairs, mobility aids, and medical and other supplies for Ukrainians with little or no income, and for those who lack access to appropriate medical care and equipment. The goods are donated, but the challenge is the cost of shipping. Our full-time staff in Ukraine is supported by volunteers in the United States and Ukraine, who work together to make sure shipments are received and the supplies are distributed to those who need it most. We also host a yearly camp for disabled children and their caregivers, a city-wide picnic for the disabled, and vacation Bible school for orphanages. We conduct medical clinics in outlying villages and train others in many cities in Ukraine on how to conduct wheelchair distributions. Your donation will help us quickly get wheelchairs, food, clothes and other supplies to the elderly, disabled and orphans of Ukraine. All content courtesy of God's Hidden Treasures. Many people around the world don’t have access to the supplies, personnel or facilities they need to be healthy. Quality of life is drastically improved and consequently nations are strengthened when people can access quality healthcare. We collect medical equipment and supplies that hospitals and individuals no longer need and make them available to developing countries. Since 2006, Hands of Hope Northwest has helped send seventeen 40-foot shipping containers of medical relief to Ukraine and eight to Moldova. Collecting the supplies is often the easier task and, especially in tough economic times, funding the shipment of the items becomes the main hurdle to overcome. Your donation will help us ship medical supplies and equipment to the people who need it most. All content courtesy of Hands of Hope Northwest. Many poor, rural people who struggle to maintain or improve their livelihoods and nutrition find it difficult because they don’t have access to healthy food, clean water or health services. We reach out to people in need around the world with food, medicine and other assistance to offer hope for a better tomorrow and help them rebuild their lives. ISOH/Impact collects food, diapers, and education materials and other products for the elderly, widowed, single mothers, orphanages, health care institutions, and families without incomes. When natural disasters, war, disease or famine strikes a community, we work with our networks to supply food, clean water, and temporary shelter to children and their families. Your donation will help us quickly get supplies to the poor living in rural areas and to health care facilities. All content courtesy of ISOH/Impact. The instability of Moldova’s economy and inflation in the price of goods and services has caused severe hardship for low-income families and government institutions helping children. Those suffering the most are the elderly, impoverished families, and children in orphanage-boarding schools. 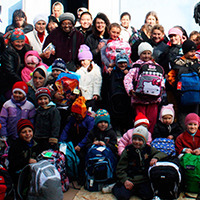 Little Samaritan Mission provides for the physical needs of orphan children in over 40 government orphanages/schools in Moldova by sending backpacks, shoes, clothes, food and other school supplies. Elderly citizens dependent on us for food, clothing, and medicine as well as impoverished families in dire need of basic necessities get the relief they need. Your donation will help us quickly get supplies to orphans, the elderly and poor families who need it most. All content courtesy of Little Samaritan Mission. 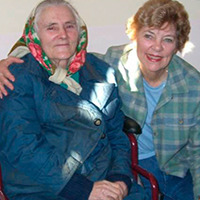 New Life Church has been supporting the needs of children and the elderly in Moldova and Ukraine since 2000. We aim to provide support and help improve the lives of vulnerable children and elderly people in need. 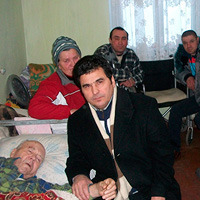 New Life Church has been helping vulnerable children and elderly people for over 15 years in Moldova and Ukraine. In 2014, one container of clothing, footwear, and food was distributed to an elderly home and 3 child support centers serving 97 children in Moldova. In addition to shipping humanitarian assistance to Ukraine and Moldova, New Life Church now also provides support to Bangladesh, Honduras, and Afghanistan. Your donation will help us quickly get clothing, shoes, and food to the people who need it in Moldova, Ukraine, Bangladesh, Honduras and Afghanistan. All content courtesy of New Life Church. 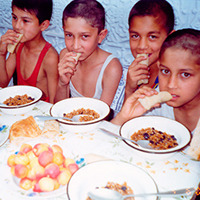 New Manna Ministries has been supporting the needs of orphans in the former Soviet Union since 1981. We want to supply the care they need to stay healthy and avoid a life on the street. New Manna Ministries has been helping orphans, street kids and widows for over 20 years in the countries of Russia, Ukraine and Moldova. In one year, a shipment of containers went to six orphanages, each home to between 45 and 60 children who needed food and basic amenities. Your donation will help us quickly get food supplies and other necessities to orphans and children living on the streets. All content courtesy of New Manna Ministries. Moldova, Kyrgyz Republic, and surrounding areas have so many citizens in need: children without any family to care for them, people with disabilities and low-income families struggling to make ends meet. We strive to provide the necessities they need to live happier, more fulfilling lives. Slavic Pentecostal Church has shipped clothes, shoes, schools supplies, food and medical supplies to help orphans and needy families in Kyrgyz Republic and Moldova. We also sent wheelchairs and crutches for orphans and disabled people. The supplies are collected and packed at our warehouse in the United States and we work with the country’s government and local partners to get these life-enhancing supplies into the hands of struggling children and families. Your donation will help us ship supplies to orphans, the disabled, and impoverished families who need it most. All content courtesy of Slavic Pentecostal Church. When investing philanthropic dollars in programs to help people in crisis around the world, PartnerSHIP for Impact (P4I) stands out as a program that can generate significant return on your investment. For every $1 of support, your company can help deliver $10 worth of humanitarian assistance. That’s an enormous ROI. As a sponsor of PartnerSHIP for Impact, you will be seen as a leader in global humanitarian efforts, and will have many impact stories to share with audiences important to your business and philanthropic goals. Your employees can also participate in the giving process and feel connected to helping people around the world who are benefitting from your sponsorship support. Your sponsorship will help transform the lives of millions of people around the world who are affected by extreme poverty, natural disasters and inadequate health care. Counterpart International serves as Secretariat for P4I through its Social Sector Accelerator. Every member of the P4I network is vetted and certified as effective in delivering quality services to beneficiaries. As Secretariat, Counterpart ensures the quality of the P4I humanitarian assistance program. For more information on how to be a sponsor of PartnerSHIP for Impact, please contact Rang Hee Kim, Director, Programs at rhkim@counterpart.org or by call 571-447-5746. • For every $1 of support for shipping, $10 of humanitarian assistance is delivered. • More than 4 million men, women and children assisted. PartnerSHIP for Impact is a network of 15 member organizations and thousands of volunteers who secure high-impact relief supplies to improve the lives of people in crisis around the world. Whether it’s emergency medical supplies, food, wheelchairs, school desks, tents and sleeping bags … and so much more… PartnerSHIP for Impact ensures the right donated supplies get delivered to people in need. • More than $200 million in essential goods delivered to more than four million people. • For every $1 of support for shipping, $10 worth of humanitarian assistance is delivered. • Reaching the most destitute in some of the most poverty-stricken areas in 59 countries—countries like Haiti, Ukraine, and Zambia. • 15 years of success. After 15 years of successful implementation, our shipping program, funded by the U.S. government, closed last year. Now we need financial support from the private sector and individual donors like you to continue this partnership for impact. Without the generous support of people like you, we won’t have the funds to ship containers filled with relief supplies – and deliver these supplies to the children and families who need them. With every $1 you donate for shipping, $10 worth of humanitarian assistance is delivered. The dried fruit was provided by P4I partners working together—donated by the Little Samaritan Mission (LSM) and delivered by Fundatia Micul Samaritean (FMS). Fruit is expensive in Moldova, and with only 24 lei (about $1.30) budgeted for each child per day, the Raisa Tarigrad Orphanage can only afford to serve it on very rare occasions. So, when the orphans have a chance to enjoy even dried fruit, it’s a luxury that improves both their spirits and their diet. 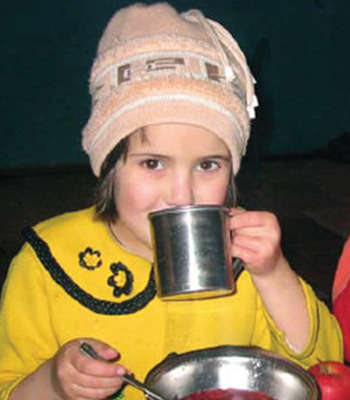 LSM and FMS have been partnering through P4I (formerly the Small/Medium Transportation Program) since 2006 to provide food and supplies to poor children, families, and seniors in Moldova. In just the last two years, they have distributed goods at more than 31 locations, including the Ialoveni Boarding School for Children with Polio and Cerebral Palsy. When the rebel fighters finally withdrew from Tajikistan’s Mehranti region in 2001, years of civil war had left local infrastructure in ruins. The schools had been demolished by bombs and gunfire, and children had nowhere to learn. Water lines too were destroyed, leading to problems with water contamination and a rise in water-borne illnesses and increased infant mortality rates. Community members have struggled to resolve these problems for more than a decade. Then, in 2012, the Ministry of Education learned about the success of a local organization called the Vdohnovenie Cultural Education Charitable Center (Vdohnovenie). Vdohnovenie has been collaborating with the U.S.-based Global Aid Network (GAiN), a PartnerSHIP for Impact (P4I) member, since 2006. To date, they have jointly worked to delivered more than 23 containers of clothing, footwear, food, basic health and school supplies to Tajiks in need—totaling approximately $3,734,301 in value. Hearing this, the government called upon them to help restore the future of education in Mehtari. Working together, the P4I partners rose to the challenge. GAiN donated food, clothing, shoes, school supplies, and construction funds to rebuild a local school. Vdohnovenie delivered supplies to those most in need on the ground and organized and oversaw construction efforts. The children of Mehtari received their new school within the year, as well as desks, chairs, and other necessary equipment to help provide a safe and comfortable environment for them to learn and grow. GAiN also provided 200 water filters and 200 rehydration spoons, which Vdohnovenie distributed to individual families throughout the community. The filters are designed to last 10 years and clean up to one million gallons of water. The spoons will help people measure the correct ratio of salt and sugar needed to properly prepare oral rehydration solutions to remain hydrated after suffering from potentially fatal water-borne illnesses, such as acute diarrhea. Through helping Mehtari children and families grow healthier and better educated, P4I members have equipped community members with the resources needed to overcome today’s challenges while preparing them to build a better future. When war ravaged her home in 2011, Xaliimo Cabdilahi Mohamed fled, joining more than half a million internally displaced persons (IDPs) journeying from southern to northern Somalia in search of safety. Soon after, disaster struck again when drought in the Puntland region caused severe famine. More than 29,000 children younger than five died from hunger, and the lives of more than 13 million people were at risk. Help arrived when three PartnerSHIP for Impact (P4I) partners collaborated with Counterpart International to deliver emergency humanitarian support. Based in Arkansas, P4I member Churches of Christ donated fortified rice, personal hygiene kits, kitchen supplies, and plastic buckets to collect water. From Minnesota, Feed My Starving Children provided nearly 300,000 servings of rice and soy protein meals. Their supplies were then packaged and shipped overseas. Once in Somalia, the P4I partner Kaalo Relief and Development Organization carried out on-the-ground deliveries, transporting supplies to all 15 refugee camps in the Puntland region. 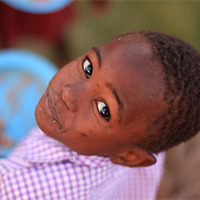 Together, the P4I partners provided daily meals to the thousands, like Xaliimo, living in the camps. Counterpart and P4I partners continued to make life-saving deliveries in Somalia until the famine subsided in 2012, assembling and transporting three shipments worth more than $226,000 of assistance. Their partnership has improved the health and nutrition of thousands of children and adults, helping them regain the strength to overcome the challenges that threatened their lives and undermined their futures. When Vadim* was a teenager in the village of Cahul, a car crash left him paralyzed—with no one to turn to for help. In Moldova, disabilities can be stigmatized and people living with disabilities are sometimes ignored by their families and communities. Without anyone to care for him, Vadim soon became covered with bedsores and blisters. Then he attended a summer camp for people with disabilities organized by P4I member Slavic Pentecostal Church (SPC) and its local partner Sperantsa (Hope) Civic Association, Cahul Raion (Sperantsa). The camp is held every year and draws people from across Moldova, Ukraine, and Romania. The camp gives individuals a rare chance to meet others who share their experiences and to learn from one another. Camp participants are also provided with medicine and medical supplies. Since 2005, SPC and Sperantsa have been working together (originally through P4I’s predecessor, the Small Medium Transportation Program) to deliver five containers of wheelchairs, walkers, crutches, and other supplies to people with disabilities in Moldova. Like Vadim, many Moldovans with disabilities are bed-ridden, lacking both medical equipment and the emotional support to overcome discrimination. SPC has donated additional clothing, shoes, and medical supplies for individuals who are unable to attend camp. Using its on-the-ground network, Sperantsa has distributed valuable resources to children with disabilities who have been confined to their homes since birth. As a result of the efforts of these P4I partners, hundreds of young Moldovans with disabilities are now strong enough to live healthy, happy lives and to participate as active members in their communities for the first time. *Names have been changed to protect individual privacy. PartnerSHIP for Impact reaches the most destitute in some of the most poverty-stricken areas in Haiti, Ukraine and Somalia—and 56 other countries around the world.